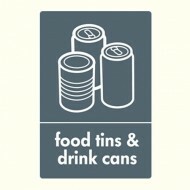 Food Tins &Drink Cans. ..
Mixed Glass Bottles & Jars. ..
Mixed Paper & Card. ..